This programme for 0-16 year olds is an ideal way for children to get complete preventive dental care from an early age. Children will continue to see their dentist twice a year for their six monthly dental health checks, but will now also have regular sessions with our oral health educator. These sessions will include specific preventive instructions tailored to each child and high fluoride varnish application sessions to help reduce the need for costly and complex dental treatment in the future. We want our junior patients at the practice to enjoy their experience of going to the dentist and learn the skills and knowledge to keep them dentally fit for the rest of their lives. For £9.30 per month this plan helps young adults to continue the good habits leaned previously as children into adulthood. 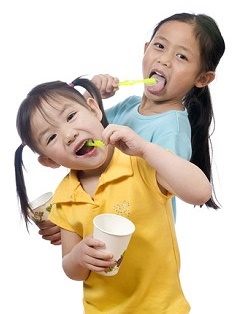 Ongoing preventive care to stop problems before they start, giving the best chance of a dental disease-free future.